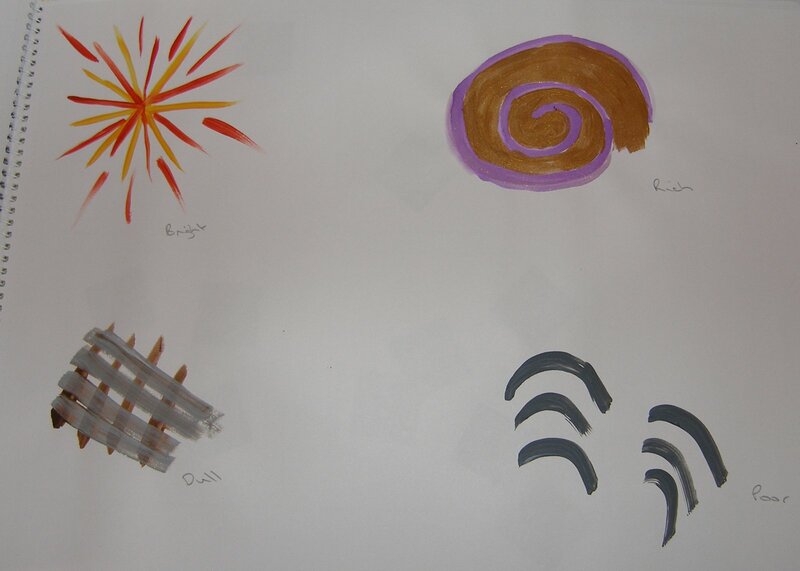 Colours that express moods, selecting opposites and finding colours (and marks) that express these feelings. 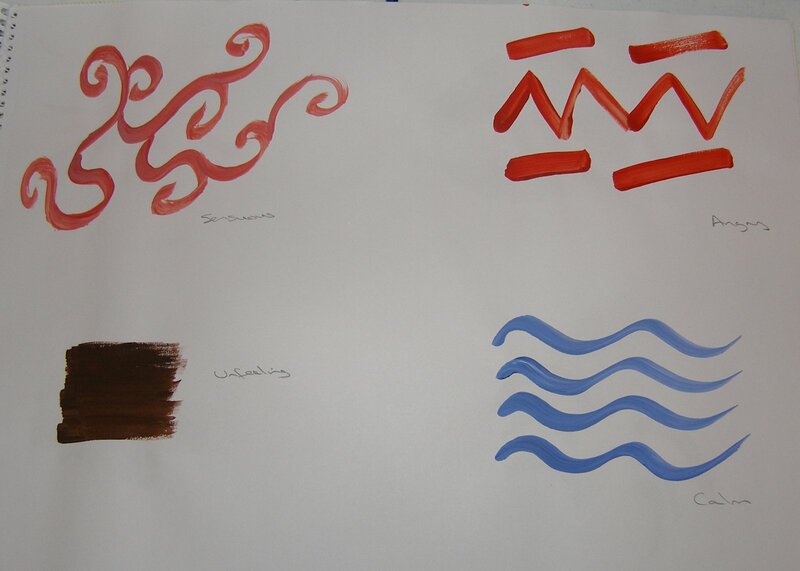 This is really similar to the very first exercises in this course in mark making, as colour was used for some of those as well. First we have happy/sad and active/passive. You could easily swap these around and both marks and colours would work for each set of words. Bright/dull and rich/poor. Again the colours and marks could be swapped. Sensuous/Unfeeling and Angry/calm. 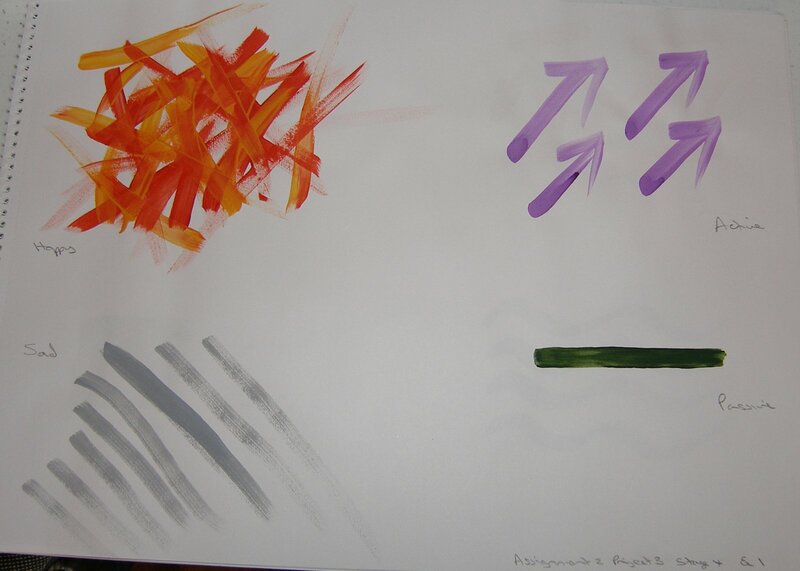 No swapping of marks here but the colours could be swapped over. 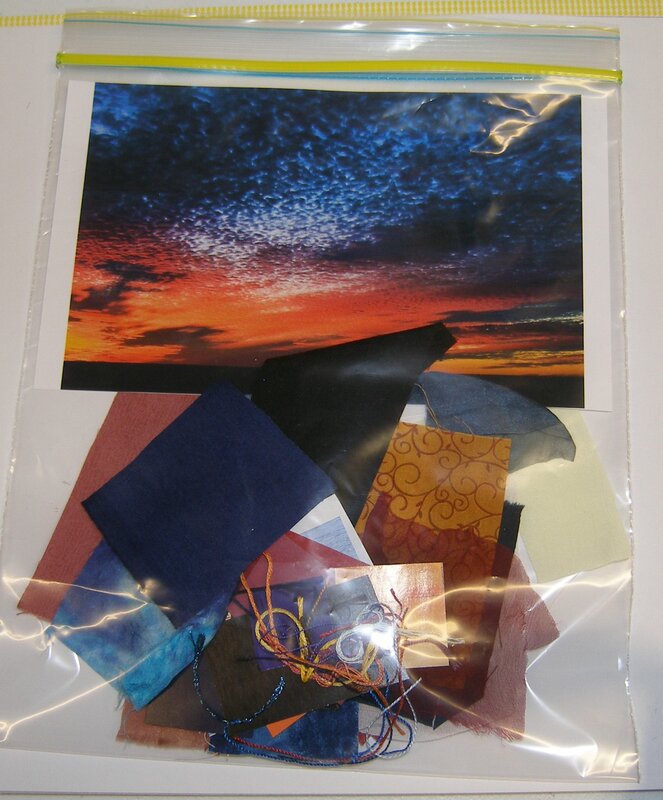 This exercise is to select a colour mood or theme that I feel drawn to and make up a colour bag of threads, fabrics, paper etc that pick out the colours in the mood/theme. I chose to work with a photo of a sunset that I had taken a few years back as it has such rich colours in it and quite a surprising range of colours as well.